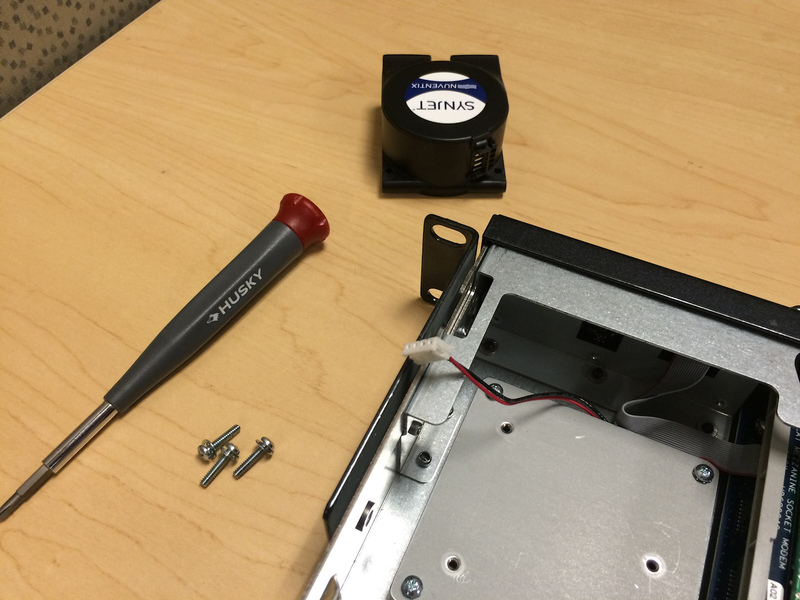 Opening an Uplogix Local Manager will void its warranty. Customers with active maintenance contracts should RMA the Local Manager by contacting Uplogix Support. 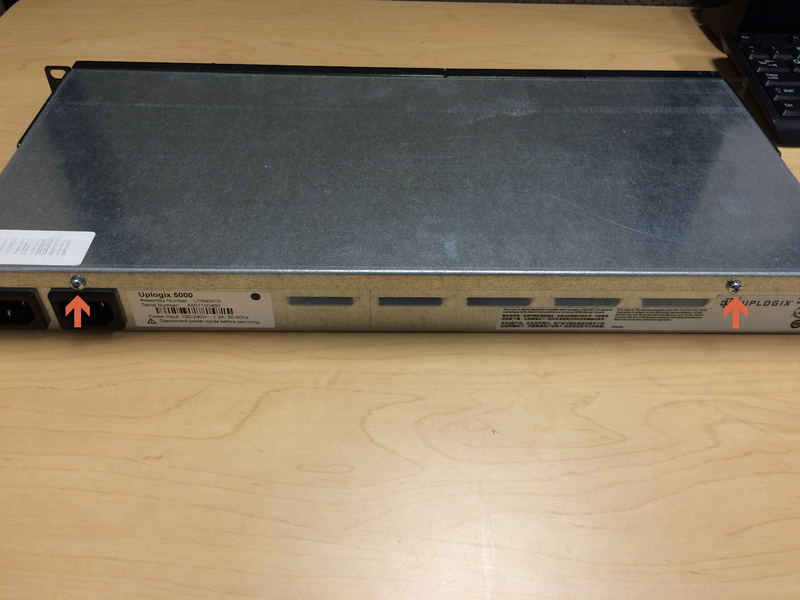 Replacing a SynJet air mover is not a procedure typically performed in the field. 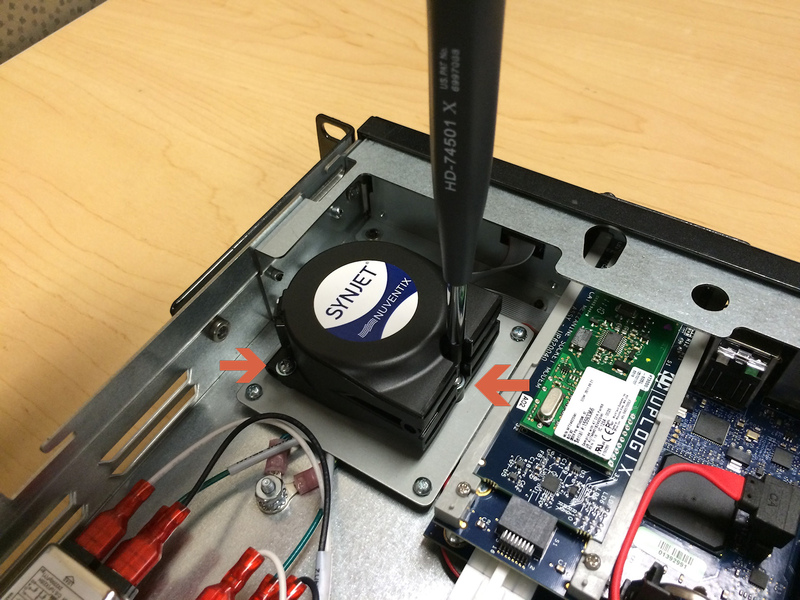 However, in extreme cases, the guide below can be used to replace a faulty Synjet without having to send back the entire Local Manager for repair. Shut down the Local Manager using the front panel or with the shutdown command from the CLI. REMOVE ALL POWER. 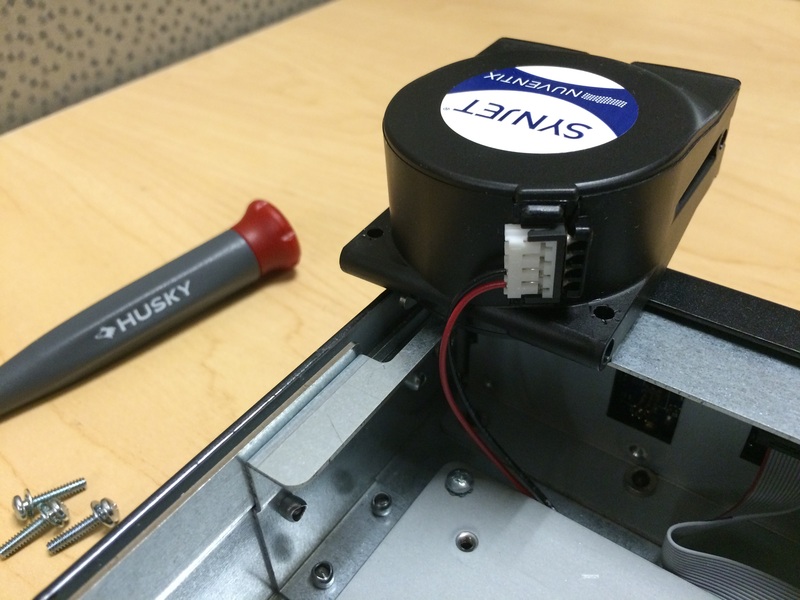 The chassis lid is secured by two screws on the rear of the unit. Remove these. 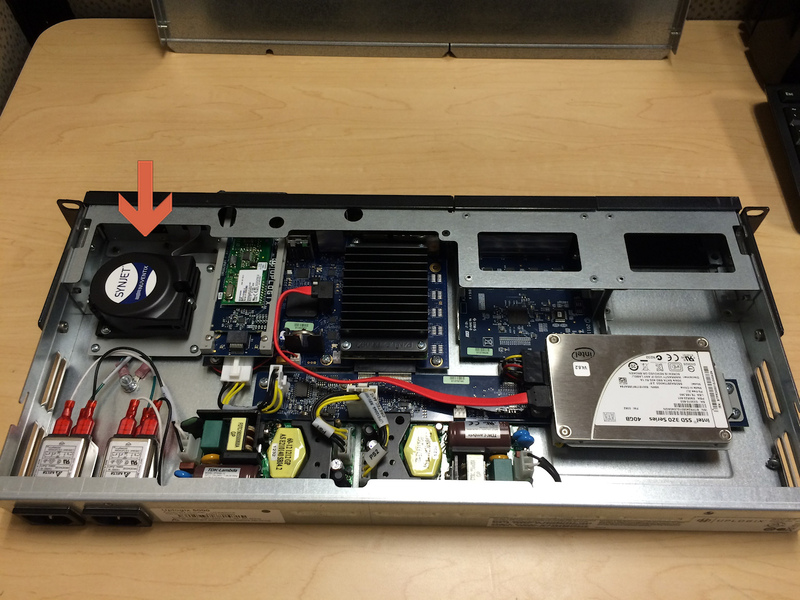 If the unit has rack ears, you may need to loosen them to remove the lid. The rack ears do not need to be completely removed. Apply pressure to the lid and slide it backwards off the chassis. The synjet air mover is located in the front right corner (as viewed from the front). 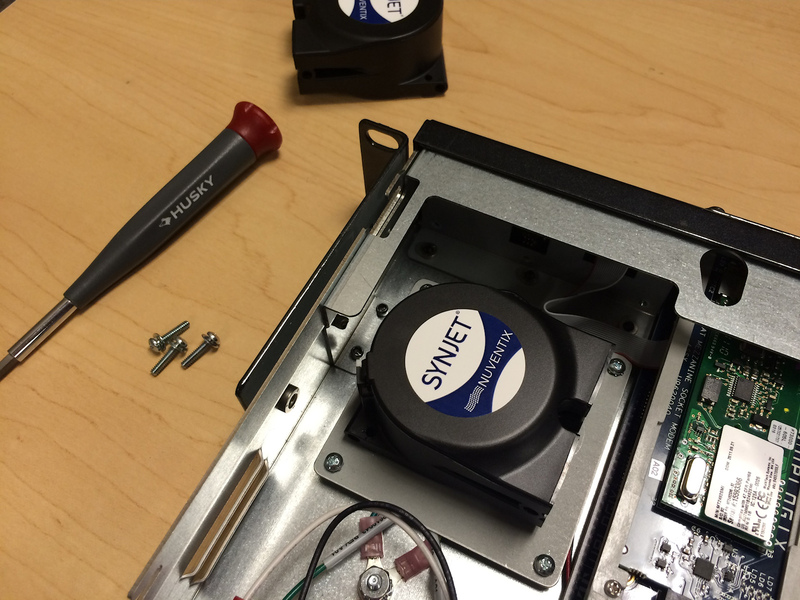 Using a small Phillips screwdriver, remove the 3 screws from the synjet. 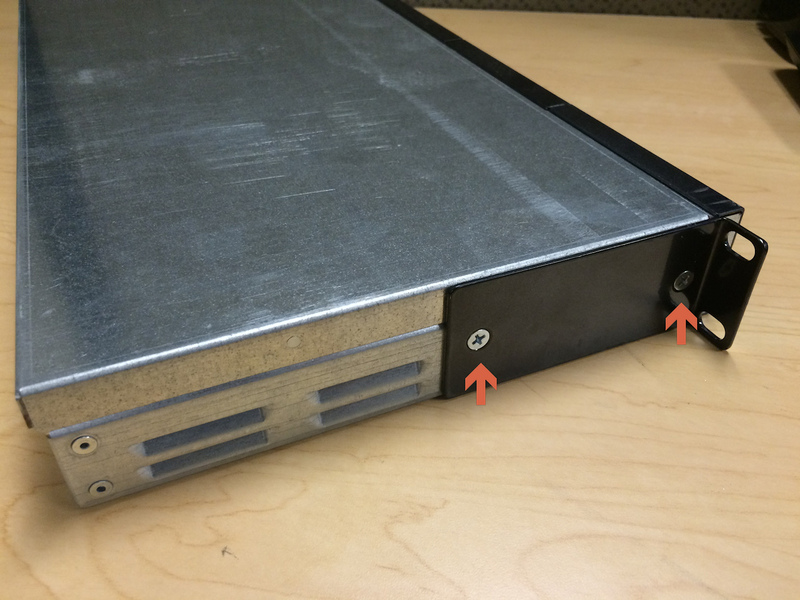 Do NOT remove the 4 screws from the mounting plate below it. Note the orientation of the synjet's power cable and then unplug it. 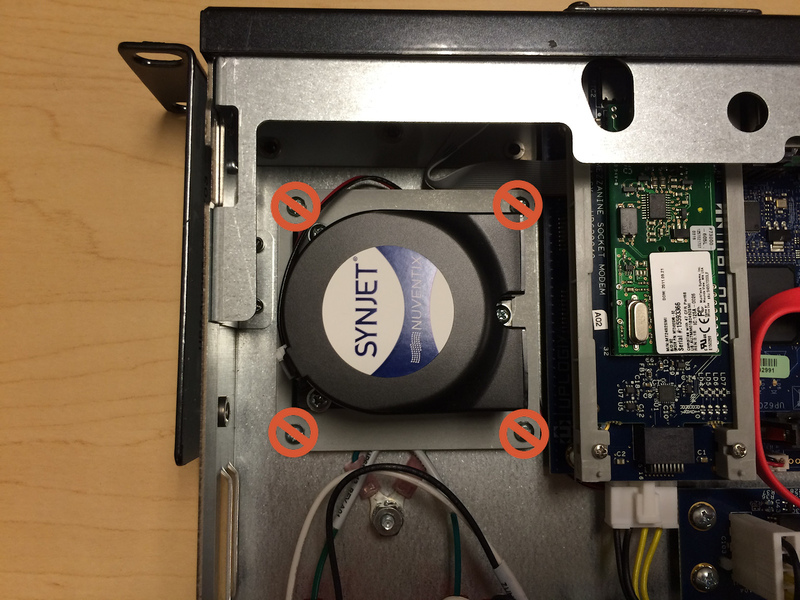 Plug the power cable into the new synjet, observing correct polarity. Place synjet in chassis and screw down. 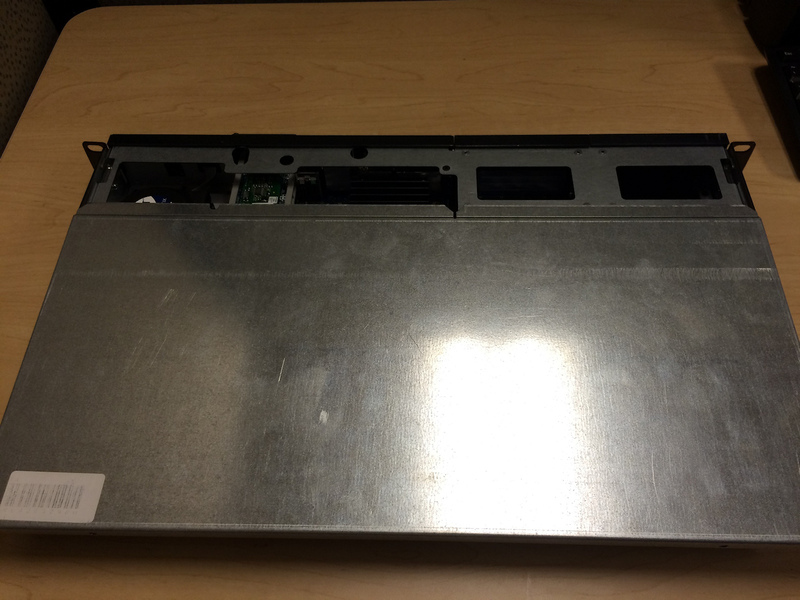 Replace chassis lid and tighten all screws. 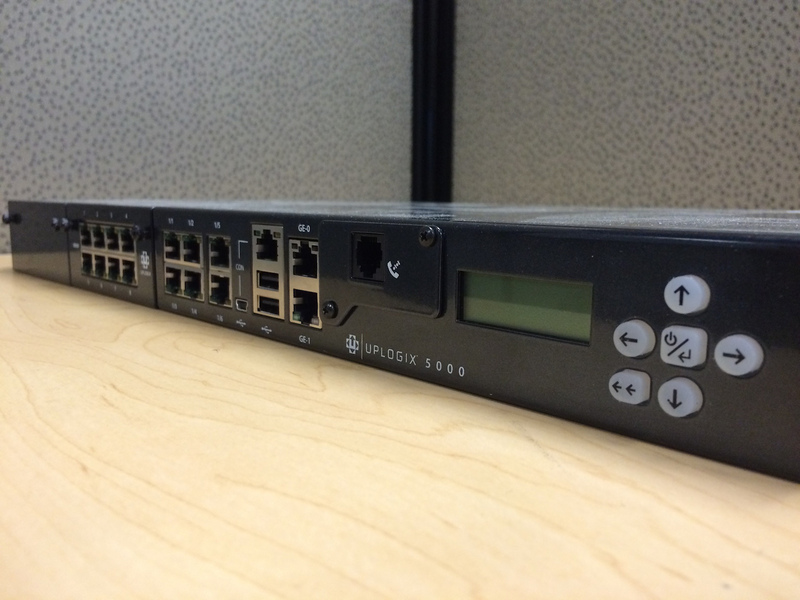 The Uplogix 5000 is now ready to be turned on.